If you are the 'Lakeland Boxing Day Classic Drive and Ride-In Day' Special Display organiser and you would like to update or amend the details shown, please contact us. Thank you. When is the next Lakeland Boxing Day Classic Drive and Ride-In Day? Thursday 26th December, 2019. Lakeland Boxing Day Classic Drive and Ride-In Day is listed under December 2019 Special Displays. Although we try to keep the information for this event as up to date as possible, we cannot guarantee that things haven't changed at the last minute, and we haven't been informed. Therefore, please contact the 'Lakeland Boxing Day Classic Drive and Ride-In Day' event holder directly to confirm all details (especially event name, dates and location) before setting off to Ulverston. 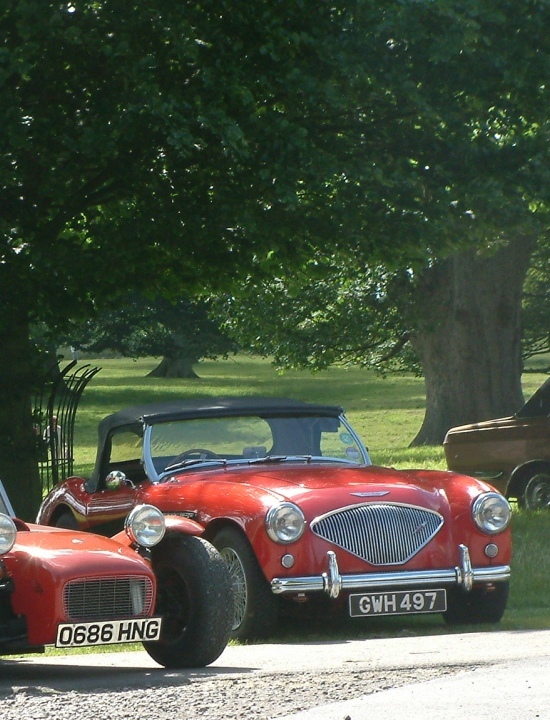 The Lakeland Boxing Day Classic Drive and Ride-In Day is planned to take place at Lakeland Museum, Old Blue Mill, Backbarrow, Ulverston, Cumbria, Thursday 26th December, 2019. You may reach the event organisers on 01539 530 400. The event is open to the proud owners of classic cars, trucks, vans and motorbikes, as well as more recent hot hatches, supermini's and high performance sports cars. There is no need to book and there is plenty of free parking for owners to display their pride and joy. Participating drivers and their passengers will also receive vouchers for discount admission to the museum itself.